RT STROBE pocketLED familyWith this system, the light intensity of RHEINTACHO stroboscopes is measured and shown graphically. From the outside, it looks like an inconspicuous, built-to-purpose square "box”. However, it is full of complicated and intelligent technology. We are dealing with the measurement of light intensity of extremely short flashes of light. These light flashes can be as short as 5µs. In this short time, the special xenon light units reach a brightness of mega-lux level. With such a concentration of light, conventional methods of brightness measurement would not provide any usable results. And in connection with the large stationary stroboscopes, this becomes a real problem – a good reason for the stroboscope specialists in the RHEINTACHO development department to find a solution for this. And they have been very successful. Every RHEINTACHO stroboscope is checked and released on this test rig and an individual test report is created. The determined data is stored in the test software. 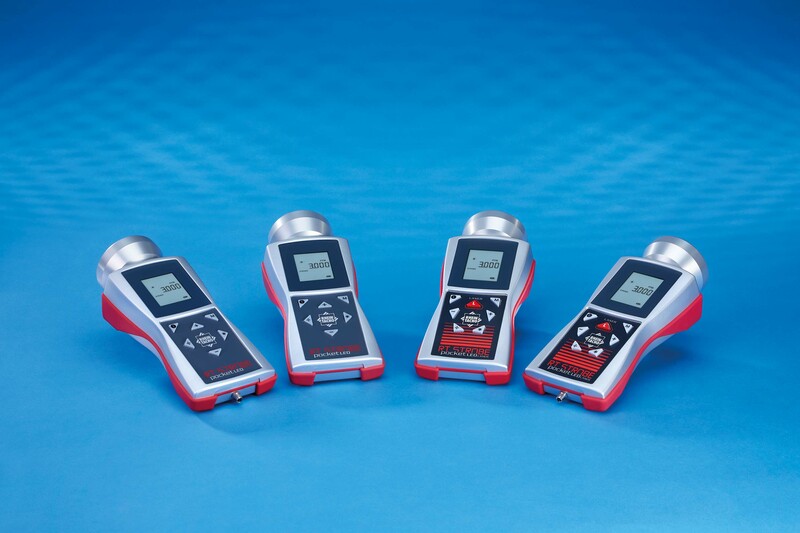 For some of the portable stroboscopes, such a test certificate is supplied with the device. One important task of the “black box” has already been realized: using this system, the components responsible for light efficiency and light distribution can be designed and selected significantly more quickly, purposefully, based on objective measuring data. This is how, for example, the reflectors for the xenon stroboscopes were optimized. For LED stroboscopes, the measuring unit provides important data for the selection and arrangement of the LED’s and the design of the lenses.